One of the most difficult parts of Ashtanga practice is stepping through the door of a new shala. What waits on the other side? It can seem pretty mysterious or overwhelming. I guarantee you this: it’s not. There’s one important thing to know: Mysore Phoenix is a traditional shala that prioritizes ongoing relationship between teacher and student. New students are asked to commit to one month of practice at the shala, and agree to practice at least three times per week during that month (though you are certainly welcome to practice four, five, or six times per week, if you’d like!). So, let’s break it down so you know how to proceed. Refer to the handy table below to figure out next steps. 1. Likes to know what’s going to happen before taking the plunge? 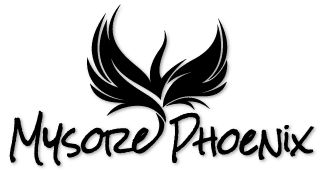 Email Karen at shala@mysorephoenix.com so we can chat about how all of this works, why we do it this way, how it can fit into your life, etc., etc., etc., to exactly the level of detail you’d like. 2. Has or is cultivating a YOLO approach to life? Come on over during regular hours (Sun 8:00-10:00 AM, Mon-Fri 6:00-8:15 AM).